A Savage War of Peace is one of the best books I ever read. It is the story of three separate wars, all of which concerned the future of the city of Algiers, which is now in Algeria, and used to be in France. The first war is the three-way fight for the future of Algeria between the FLN, the Pied Noir population, and the Fourth Republic. This war, occupying the first half of the book, in many ways resembles the American experience in Iraq. The FLN was a terrorist organization that was anti-Western, anti-Communist, anti-Liberal, and anti-Semitic, and initially counted in its supporters many Muslim opponents of French rule and a small but dangerous coiterie of deluded western fellow travelers. The Pied Noir, generally white (but not ethnically French) settlers, composed a minority of the overall Algerian population but the vast majority of its “European” residents. Analogous to the (relatively) educated and (relatively) affluent Sunni community in Iraq, it was situated half-way between the French metropole and the Algerian bled. As beneficiaries of the welfare state, the Pied Noir were politically affiliated with Petain’s collaborationist government and hostile to liberal democracy. The Fourth Republic, the democratic French state, inherited from its pre-war predecessors a dicey situation in Algeria. The millet system, inherited from the Ottoman Empire upon France’s conquest of Algeria in 1830, let the initial Muslim community live under Sharia Law while the European community lived under French law, voted in French elections, and so on. The increasing power of the French state, however, made this situation decidedly unequalal. The Fourth Republic’s mission was to essentially reestablish the status quo before the rise of the French state, to allow the Pied Noir to be full citizens of the Republic while also allowing the Algerians to effectively government themselves. Each of these three factions had specific challenges. The FLN, paranoid, fratricidalal, uneducated, and given to a degree of sexualized hyperviolence that would make al Qaeda in Iraq blush. The Pied Noir, demographically the weakest faction, were (barely) an over-class in Algeria while suffering the lowest living standards of any group of French citizens. The Fourth Republic, established after Petain’s collaborationist military dictatorship, attempted to avoid a return to tyranny by creating a weak executive. The first four years of the war would be extremely familiar to all Americans, because of the analogous first four years of the Iraq War (2003-2007). The FLN began a campaign of murderous terrorism while (in the early days) enjoying the tolerance of the local population. Counter-insurgency operations included torture, which worked in some cases and not in others, but alienated those French intellectuals who believe that war is a gentleman’s pursuit. The Pied Noir often exasperated their military protectors through their fear of what any political change might entail. The organized combatants — the FLN and the Fourth Republic — both experienced stress as the the FLN’s military capacity was destroyed in proportion to the Fourth Republic’s political standing. In the United States, a stable constitutional liberal republic, what happened next was the following: our party system allowed millions to funnel their frustration in a candidate of “hope” and “change” who, of course, changed nothing. Simultaneously, in Iraq, the Sunni minority accepted the lost of their political hegemony while securing for itself security and self-government. The military policy of the American government was continued, and the war is perhaps as “won” as any counter-insurgency operation can be. With body-count now sufficiently low, the issue simply fades away as other issues of the day (the economy, jobs, cultureal issues) dominates politics in both the United States and Iraq. 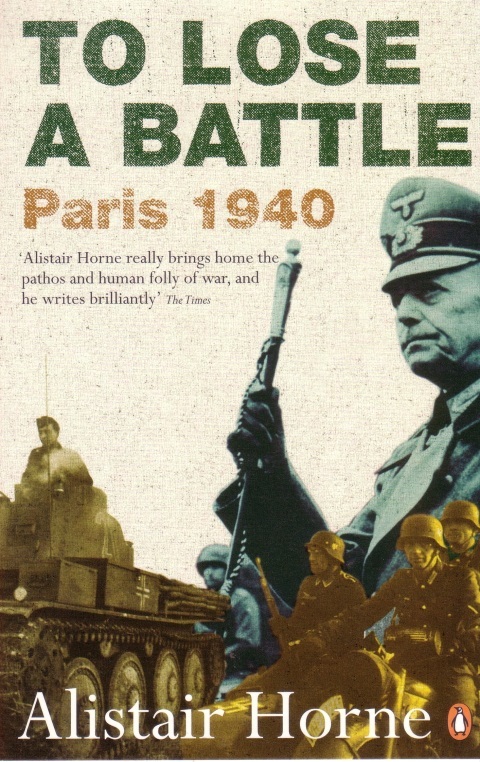 The “Vichy” and “Free” French regimes were both led by military men, which led to a belief that neither civilian leaders nor higher officers should be entrusted with the war effort. It was up to each officer to decide what is “right. While the FLN collapsed on schedule, France would not be so lucky. In France, unlike America, democracy itself collapsed. 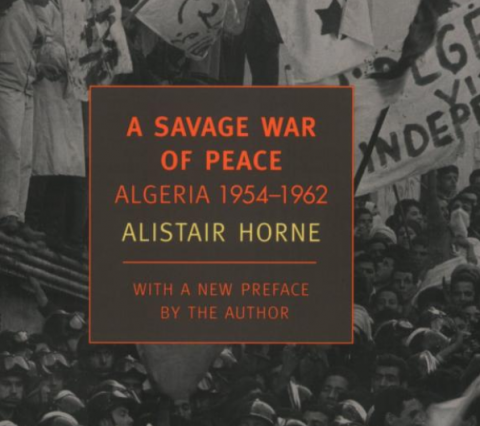 The Fourth Republic’s plans of abolishing Sharia and integrating the Muslim population into Algeria ran into violent opposition from the Pied Noir, who feared the loss of their ability to control Algeria at some future date to be more frightful than the barely standing FLN enemy. The military, angered by actions by the Fourth Republic that in retrospect only trivially effected the war effort (granting independence to Morocco and Tunisia, etc.) had taken to disobeying orders. And in the background, refusing to condemn violence as a method of seizing power within France, stood the man who would end democracy in the country: Charles DeGaulle. The military, egged on the Pied Noir, began seizing government offices and replacing Governors with its own appointment. As the machine of the coup churned, DeGaulle made it clear his support was contingent on the end of the Republic and the granting, to him, of dictatoral powers. The French experiment in democracy ended in 1958, with the military and Pied Noir factions successfully ending the Fourth Republic which had slowed down the efficiency of their victory over the FLN, and the enthronement of DeGaulle. DeGaulle prompted gave the French Assembly a “Vacation” as he ruled by decree for months on end. There is no mystery about DeGaulle’s personality, aims, or ruling style. Anyone familiar with Chiang Kaishek or Mao Zedong instantly recognizes the type. DeGaulle’s method of management was “working towards the chairman,” in which he vaguely states operational objectives and allowed underlings to carrry them out. DeGaulle identified himself with the nation though not with any specific ideology, and so viewed personal enemies as enemies of the state. Also like Chiang and Mao DeGaulle was a profoundly cold man, whether concerned with the fate of individuals or groups. As DeGaulle identified himself with France, his two greatest strategic interests were (a) preventing Germany from emerging as a competitor as (b) liquidating any remaining supporters of Marshall Petain. The first led him to support close economic integration with Germany. The instrument of that campaign (barely mentioned in A Savage War of Peace) are the institutions that would eventually form the European Union. The second led him on a campaign of ethnic cleansing against the Pied Noir population. The instrument of that campaign were the scattered and defeated remnants of the FLN, who so many had died in vain to defeat. During this DeGaulle responded to protest by having tanks bombard civilian buildings at close range, ban opposition political groups, ban demonstrations, use torture against French citizens, and all other techniques which today we would associate with Gadafi’s Libya. The primary goal was to attempt to prevent the DeGaulle/FLN victory by establishing itself as a terrorist organization along FLN lines, and establish itself as a “third force” in the reality of any peace process. The hope here was to force the hand of the French government. Once the primary goal was seen to fail, terrorism as such was abandoned as tactic. Dictatorships such as DeGaulle’s France (or Franco’s Spain, or Chiang’s Taiwan) are of course immune to terrorism as a tactic. Therefore, the OAS moved onto splitting DeGaulle and the FLN by manipulating events to attempt to force a FLN-OAS united front. The FLN, composed largely of violent and uneducated hicks, did not have the manpower to actually run a government. They were not more adept to governing a modern Algeria than, say, the Taliban could effectively govern Alabama. Some of the FLN (particularly leaders of other factions which had been absorbed early by the FLN) were aware of this, and exacerbating this situation could possibly lead to a cold detente. The OAS thus began systematically executing all non-Pied Noir government functionaries. In one outrage (intended both to highlight their destruction of the machinery of government while also emphasizing their basically pragmatic purpose), they executed 2 white postmen, 2 Muslim postmen, and 1 Jewish postman in one night. DeGaulle responded by strengthening the position of the least educated factions of the FLN, to close this last attempt to the Pied Noir to save themselves. Eventually, in 1962, DeGaulle won the war, as the Pied Noir were scattered and the last internal threat to his rule. The ethnic cleansing of an entire people would buy DeGaulle seven more years in power. A trade that Mao, Chiang, or Gadafi would have accepted as eagerly as did DeGaulle. A Savage War of Peace is a history of tragedies and ironies. DeGaulle. DeGaulle ended democracy in France, and brutally suppressed those who fought for their rights and livelihoods. Vain, arrogant, and machiavellian, he successfully oversaw the ethnic cleansing of a community he viewed as antagonistic to his political future. But his self-confidence was stronger than his paranoid, so like Chiang (but not Mao) he laid the groundwork for the return of democracy. Just as Chiang’s “White Terror” eventually gave way to free & fair elections in Taiwan, DeGaulle allowed himself to be defeated by the vote (and old age) in 1969. At the same time, DeGaulle’s fear of a German revival lead him to energetically push forward the multilateralal institutions that now form the European Union. The Communists. The dog that never barked was the Communists. Concerned with the poor Pied Noir early in the war, the French Communist Party ended up having the most reasonable policies of all factions during the war against the FLN. Later, after DeGaulle’s coup, the Communists continued to be a force of order as they accurately saw DeGaulle simultaneously alienated the United States while constraining Germany. In French, as in Chinese, history, pro-Moscow communists tend to be sympathetic characters. General Salan. The most interesting human in the entire book is General Raoul Salan, LÃ©gion d’honneur (Knight, Officer,Commander, Grand Officer, Grand Cross), MÃ©daille militaire, Croix de guerre, Croix de guerre, Croix de guerre des ThÃ©atres d’OpÃ©rations Exterieures, Croix de la Valeur Militaire, MÃ©daille InteralliÃ©e de la Victoire, MÃ©daille CommÃ©morative de la Grande Guerre, Distinguished Service Cross (US), Commander of the Order of British Empire (CBE) (UK), and the only person to lead operations in all three phases of the war. Salan was an early leader of the French military in its counter-insurgency against the FLN, and was nearly assassinated by a bazooka by enraged Pied Noirs. In the second war, Salan organized resistance to DeGaulle’s authoritarian government and attempted to organize a second military coup. In the third war, Salan was a leader in the OAS and ordered the general mobilization of the Pied Noir population, and the extermination of the Muslim intellectuals. Given the history of French military leaders, one imagines if he had ever gained executive power he would have been as bad as Petain or DeGaulle. As it was, however, he strikes the reader as a romantic figure, fighting for a lost cause against impossible odds. Context. If most Americans are aware of the Algerian War at all, they know it from The Battle of Algiers. But that movie, showing a terrorist campaign by the FLN and its defeat, only accurately captures the first of the three wars described in A Savage War of Peace. DeGaulle’s coup and the OAS campaign are the most important phases of the “war,” but all occur after the end of the film. A Savage War of Peace is a disturbing book, and a must read for anyone who cares about history, democracy, or the Arab world.